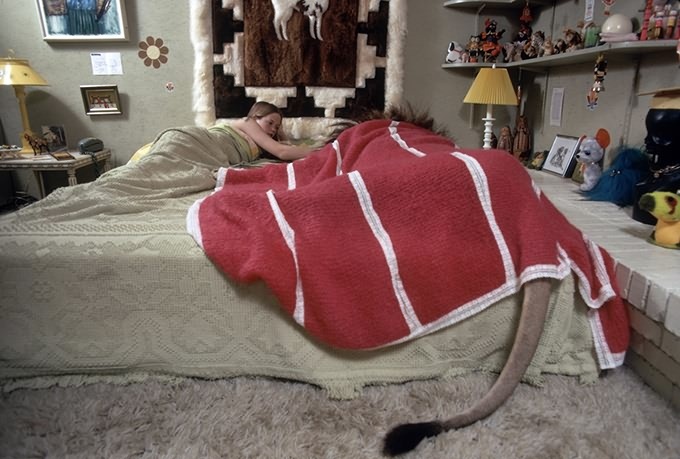 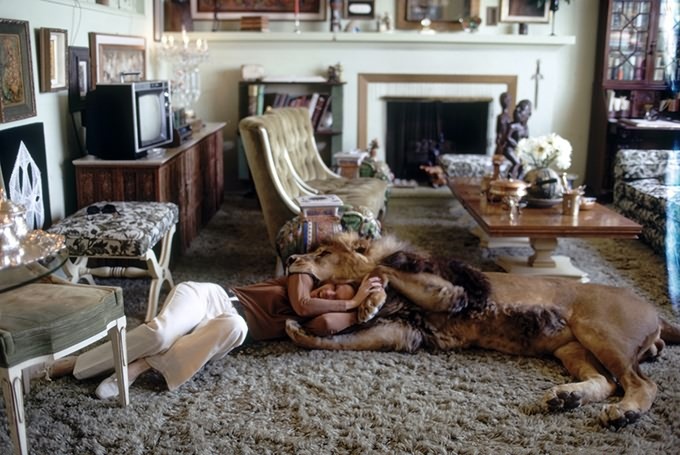 This series of intimate photographs from the 1970s of Neil the lion carries a chilling backstory that should remind us all that, no matter how much we might love them or feel close to them, we will never truly understand the mind of a wild animal. 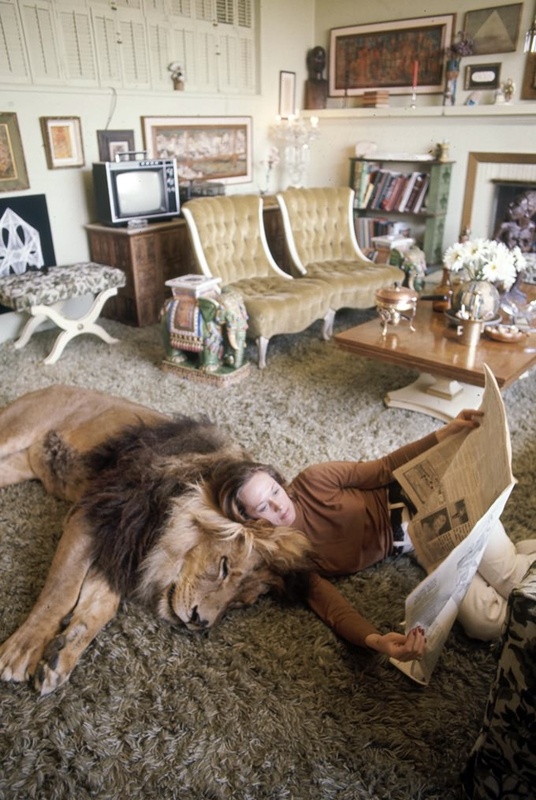 When Griffith was a teenager, her actress mother, Tippi Hedren, and her stepfather, director Noel Marshall, decided they wanted to make a film about big cats after returning from a trip to Africa and seeing them in person. 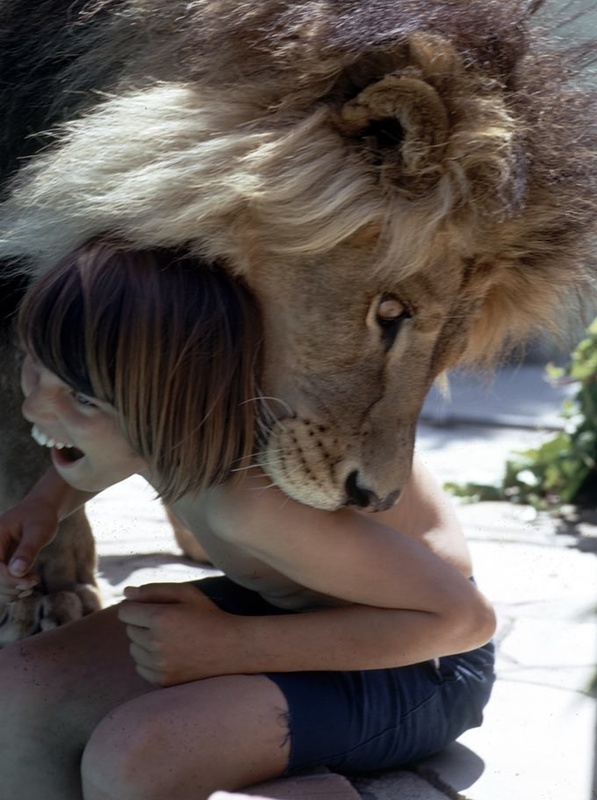 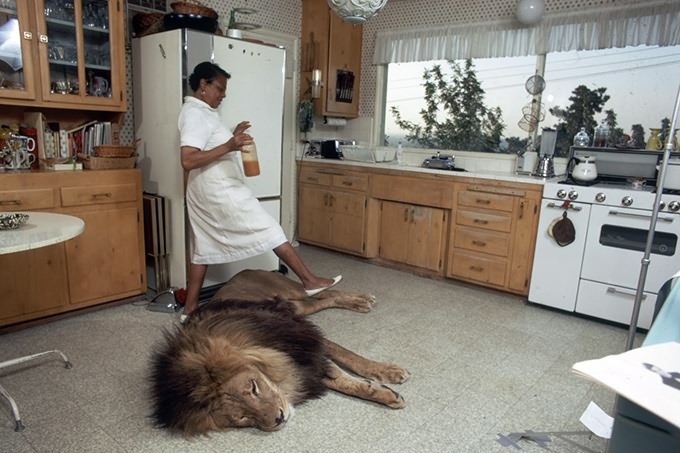 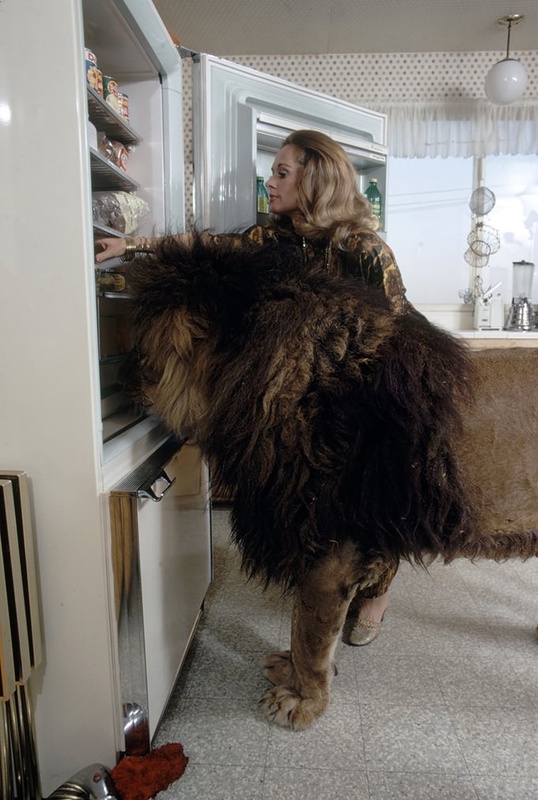 An animal trainer suggested they get to know them better by living with a lion, so they ended up taking Neil into their home. 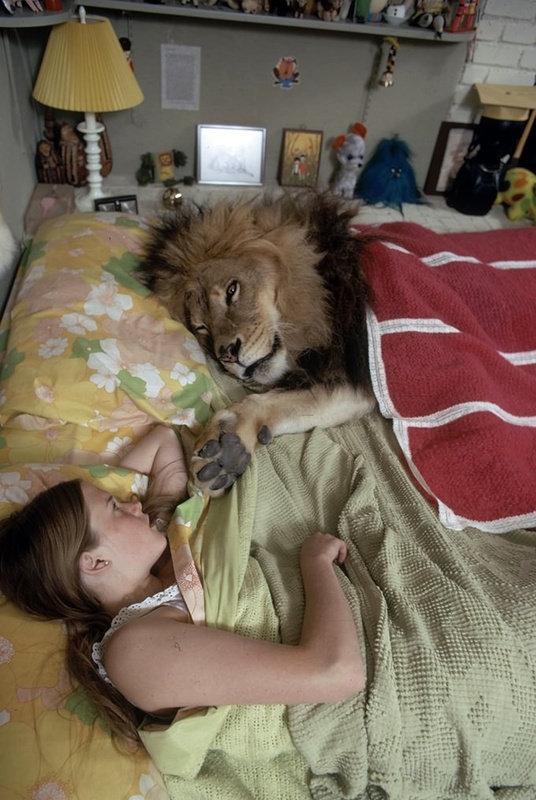 Their life with Neil seems to have been nice, but their movie, Roar, didn't go quite so well. 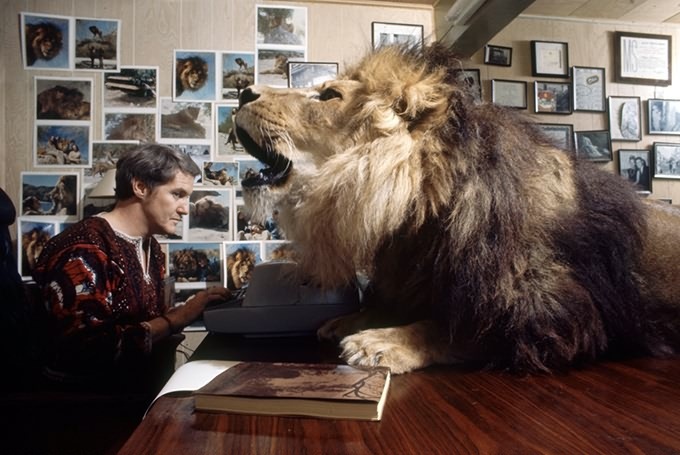 Melanie required 50 stitches after being attacked by a lioness that was part of the film, and cinematographer Jan de Bont had to have his scalp sewn back on. 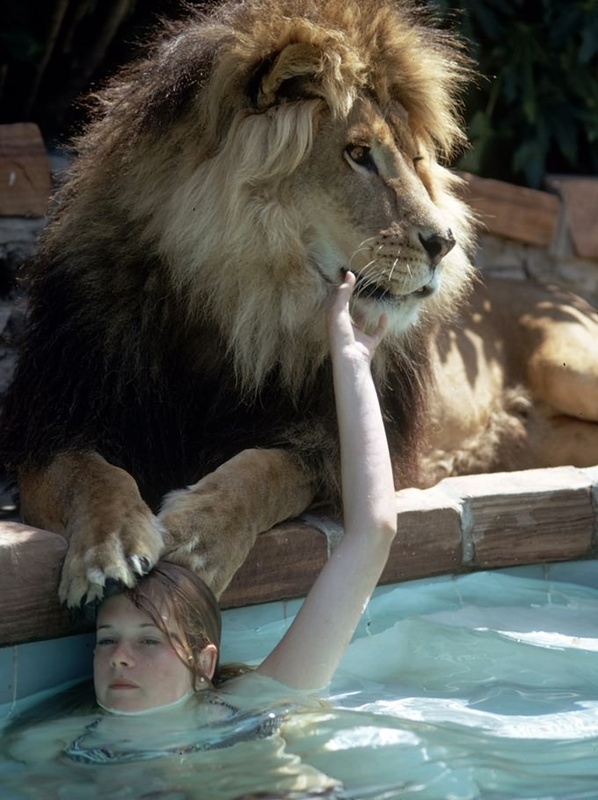 70 people wound up being injured by the movie's cast of 150 large predatory cats. 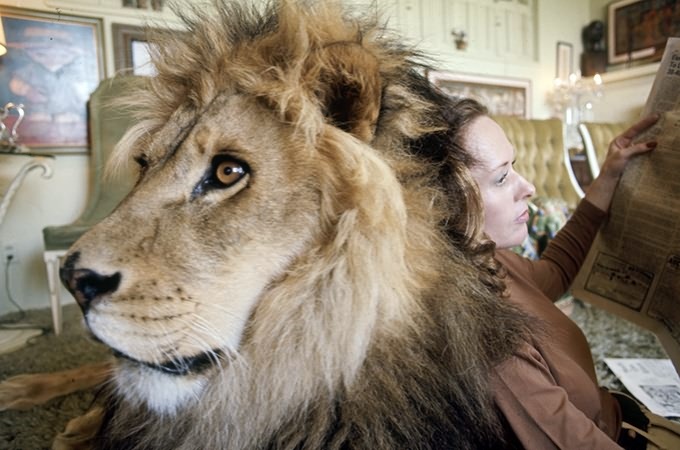 The movie cost more than 17.5 million and made 2 million.